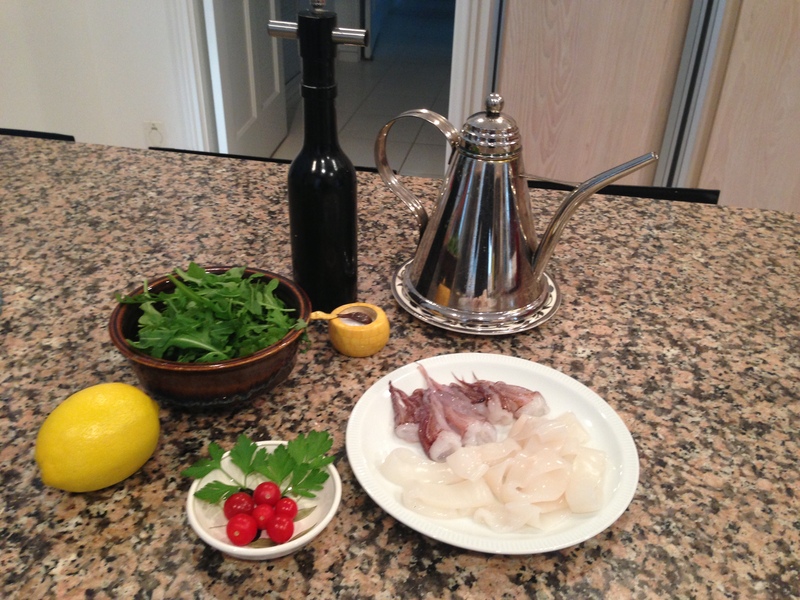 While the rubbery texture of calamari is often an immediate turnoff, prepared correctly and this could be your new go-to rejuvenating Springtime meal! I urge you to give your palates a chance with one of the most environmentally friendly deep-sea catches. According to the United States Department of Agriculture, calamari is loaded with vitamin B12, essential omega 3 fatty acids, and only contains 140 calories per serving! These nutrients are effective in reducing the risk of heart disease and cancer, the most leading causes of death in the United States. 1. Take 3.5 oz. of calamari- wash, cut, and pat dry with a paper towel. 2. In a mixing bowl: combine the calamari, 1 tsp. of olive oil, 2 tbsp. lemon juice, a pinch of red pepper flakes, and salt & pepper to taste. 3. Set the mixture aside for 10 minutes. 4. In a separate mixing bowl: toss 1 cup arugula, ¼ cup sliced cherry tomatoes, 1 tsp. lemon juice, 1 tsp. olive oil, and 1 tsp. balsamic vinegar. 5. Set a cast iron skillet on medium-high heat and lightly coat with olive oil. 6. Gently place the calamari marinade mixture onto the skillet. 7. Continuously rotate the calamari pieces until the edges are golden brown and crispy. 8. 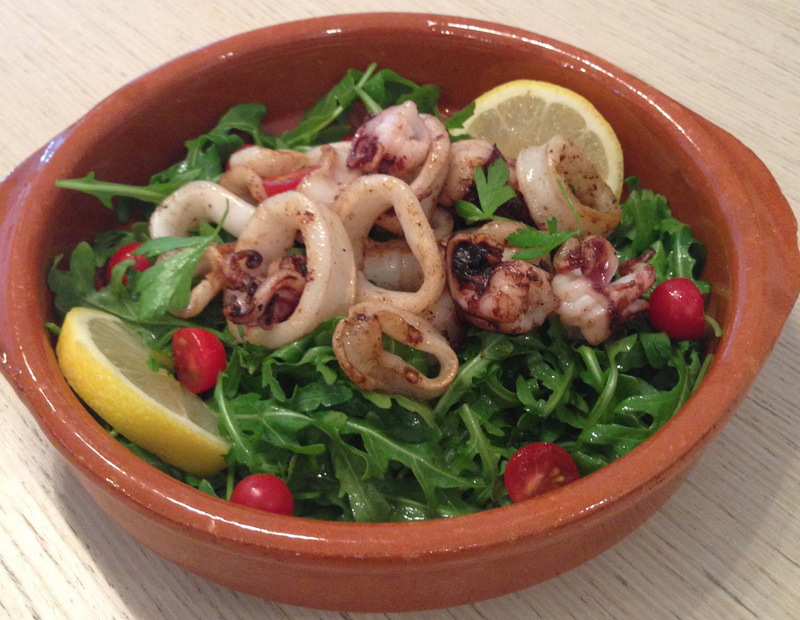 Place the calamari on top of your salad and you’re in for one delicious meal!